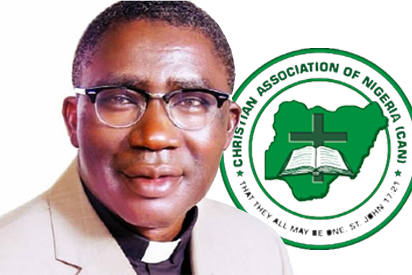 The family of the late General Secretary of the Christian Association of Nigeria (CAN), Rev. Musa Asake, has rejected CAN’s offer to assist in the burial of the deceased. The late General Secretary’s son, Aminchi Asake, told the umbrella body for Christians pointedly, in a letter, that the family did not need CAN’s assistance. Asaka died on May 11 and, according to burial arrangement by the family, he would be laid to rest on June 8 at Ungar Rimi, Kafanchan, Kaduna State. The rejection of CAN assistance in the late General Secretary’s burial came barely one week after the Nigerian Christian Elders Forum (NCEF) levelled several allegations against CAN leadership, including that it visited the Presidency where it collected N25 million for ‘transportation’. CAN leadership denied all the allegations. Asake’s son, in a letter from his United States (US) base, told CAN that the family had resolved that it will be solely responsible for the burial at the deceased. The letter, titled, ‘Letter of Information’, was in response to a letter by CAN, dated May 22, 2018, to the family in which the body said it had set up a committee, headed by Bishop Stephen Adegbite, to oversee Asake’s burial. The son wrote in the letter: “I received your letter dated May 22, 2018. I want to thank the Christian Association of Nigeria for reaching out to my family and wanting to commiserate with us on the passing of my father. “You have been so generous as to offer assistance with the planning of his burial, even planning a service of songs and a commendation service. But at this point, I must ask CAN to stop, we do not need your assistance. “The family has taken an independent decision that we will be solely responsible for the burial of our father, the late Rev. Dr. Musa Asake. We have already set up an independent committee and will proceed accordingly with our plans. Thank you. The family burial committee is headed by Rev. John Kennedy Opara. The late Asake’s younger brother, Jonathan Asake, echoed the position of the son of the deceased in his letter to CAN when he told Sunday Vanguard that the family’s main concern was the interment. “All other functions are politically organised and they don’t mean anything to me because the most important thing is for our brother to be laid to rest, and the family has chosen June 8 for that purpose”, he stated. Reminded that aside the family burial committee headed by Opara, CAN had set up another committee headed by Bishop Adegbite, he said: “There are no two committees. I am not aware that there are two committees but even if there is another committee aside from the one set up by the family, it is for the same purpose and we will definitely come to work as one. The question is: is it CAN that owns the dead body or the family? The Public Relations Officer of the Northern Christian Elders Forum, Elder Sunday Oibe, also told Sunday Vanguard that the Asake family had briefed members about plans for the late General Secretary’s funeral. “The family told us about the committee they put in place for the burial and it is the only one they know. That even though one Bishop Adegbite called a member of the family telling them that they (CAN) had drawn up a programme for the burial, the brother told us he was not aware of anything like that,”Oibe said. “He affirmed that they were poised to bury their brother their own way and they have set up a committee to that effect. He made it clear that they are not expecting any money from any government”. Speaking in a telephone interview, the Chairman of the committee, Bishop Adegbite, who revealed that the body is composed of representatives of the five blocs that make up CAN, said they were going ahead with their plans regardless of the position of the Asake family. “The family has a choice not to be in support but the person we are going to bury died in office as General Secretary of CAN which is bigger than his family. When he took up the appointment, the understanding was that if he died in office there are things that must be done by the association for him. “So nobody can stop that. That is what we going to accord him as the General Secretary of the Christian Association of Nigeria, not as Rev. Dr. Asake. We owe him the duty and it is something that must be done for him. It’s like saying the President of Nigeria dies and the family says Nigeria should not participate in his burial. Does that make sense? Asked if there was a possibility of mending fences with the family before the burial, he said: “We are having a meeting on Monday with the family. When we meet, we’re going to harmonise our differences. As a matter of fact, I have not been told by the family that we cannot be part of the burial. The last thing I heard was that a meeting has been scheduled for Monday (tomorrow) and we are going to be there to organize a befitting burial for our General Secretary”. Adegbite hinted that an emergency NEC meeting of CAN had been scheduled for June 1 in Abuja and the only agenda of that meeting was to plan the burial of the CAN General Secretary.